This issue marks the return of what I always considered to be one of the Flash’s lesser villains, the Pied Piper, but this for this turn the polka dotted Piper makes full use of the Pied Piper legend. 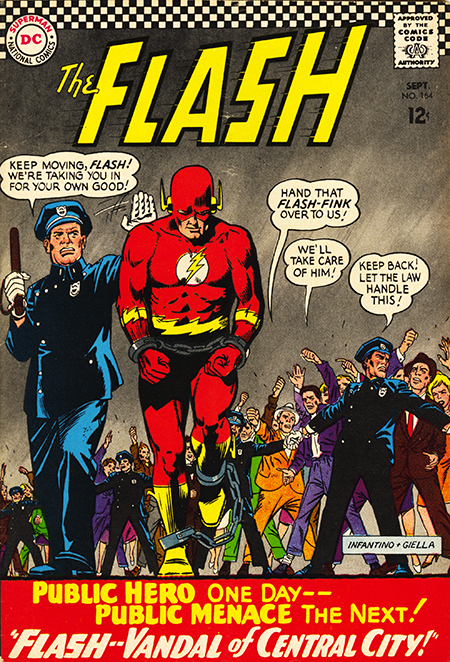 The story opens with the Flash’s speed running out of control and wreaking havoc with the infrastructure of Central City, hence the Vandal of Central City title. It turns out that the Pied Piper was behind all of the Flash’s problems by causing his super speed to go nuts (for those of you that needed a scientific explanation). With the Flash jailed for vandalism, the Piper is free to loot the city, but first, he musically clears out the city’s population in a striking almost full-page panel showing the mass exodus of Central City inhabitants leaving the city empty so that his henchmen can loot at their leisure. Which, of course they do, but, when they turn on the Piper, he sonically releases the Flash from jail so he can capture them. Of course, the Flash not only captures the henchmen, but he snares the Pied Piper as well. A pretty typical Flash story ending. Except. At the bottom of the last page is an invitation to the wedding of Iris West and Barry Allen. It says they are scheduled to be married in the November issue. I’m not sure I recalled this invite when I placed a similar invitation in Funky for the wedding of Les Moore and Cayla Williams, but, maybe, who knows? In the second story, Gardner Fox brings back young science phenom Tommy Davis for an encore performance in a Kid Flash story. As you may recall, back in issue #145, Tommy was the science fair student whose homemade weather station was able to predict the upcoming crimes of the Weather Wizard. This time Tommy has invented a machine that can make you invisible. In the course of the story, Tommy begins to suspect that Wally West is really Kid Flash. In a nicely clever scene, he’s on the phone to Wally when a crook shows up to steal Tommy’s invisibility device. Wally hears this over the dangling phone receiver, and shows up as Kid Flash to save Tommy, and then rushes back to be on the phone again as Tommy picks up the receiver again. All done with nary a speed line in sight. Like I said, clever. 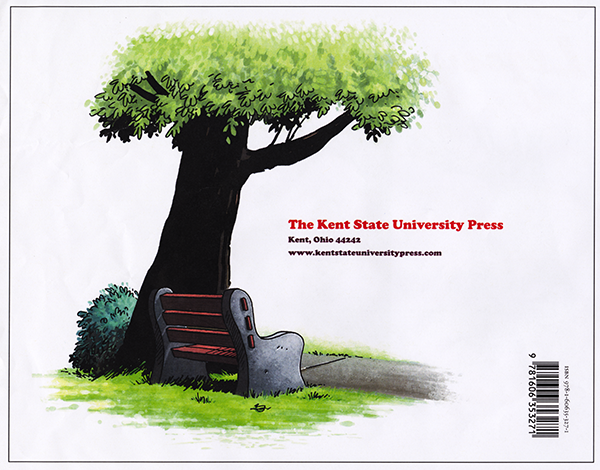 The Flash-Grams letter page features a letter from a reader named Mike Friedrich who down the road a bit would work as a writer at both Marvel and DC comics, and who would later publish the anthology book Star*Reach, one of the first independent comic books. Also there with a letter is Irene Vartanoff who would go on to become a colorist and assistant at Marvel. Two more Julie Schwatrz letters page alumni who turned pro. We really should consider a reunion or something.